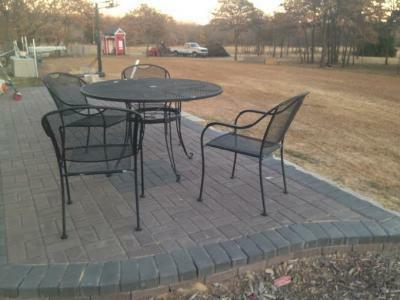 Groundscape Solutions, A Fort Worth Landscaping Company, designed and installed a Paver Patio. This Patio is made with Stone Pavers bordered with a darker Stone Paver and designed with eye catching curves bordered with a flower bed. Paver Patios make a relaxing place to sit after a long day of work or a nice place to have a cup of coffee each morning before you head off for the day. Give us a call at 817-759-0102 for a quote or visit our website at www.groundscape.com Groundscape Solutions is a fully insured landscaping company and will provide references.